Among our many wonderful traits as as a people, the Irish are renowned for their story telling. Little wonder then that we continue to punch above our weight at various literary awards like the Booker Prize, the Whitbread Prize and the Impac Award.A love of literature is part of what we are. With this in mind, Speakeasy Toastmasters Club are delighted to announce that their next meeting will be their "Theme Night". This year, the theme is books or to be more precise, the stories that lie within. "Literary Speaking" will be a night where the magic of the written word will be brought to life through the interpretive readings by various members. Well known Irish writers will have their words lifted from the pages of books and given vibrancy and meaning. Michael Cronin will tackle the musings of the ever humorous Joseph O'Connor while the ever popular Maeve Binchy will be interpreted by Bridie O'Connell. Bobby Buckley will present a dramatic reading of"Beuwolf" which will delight "children of all ages" . 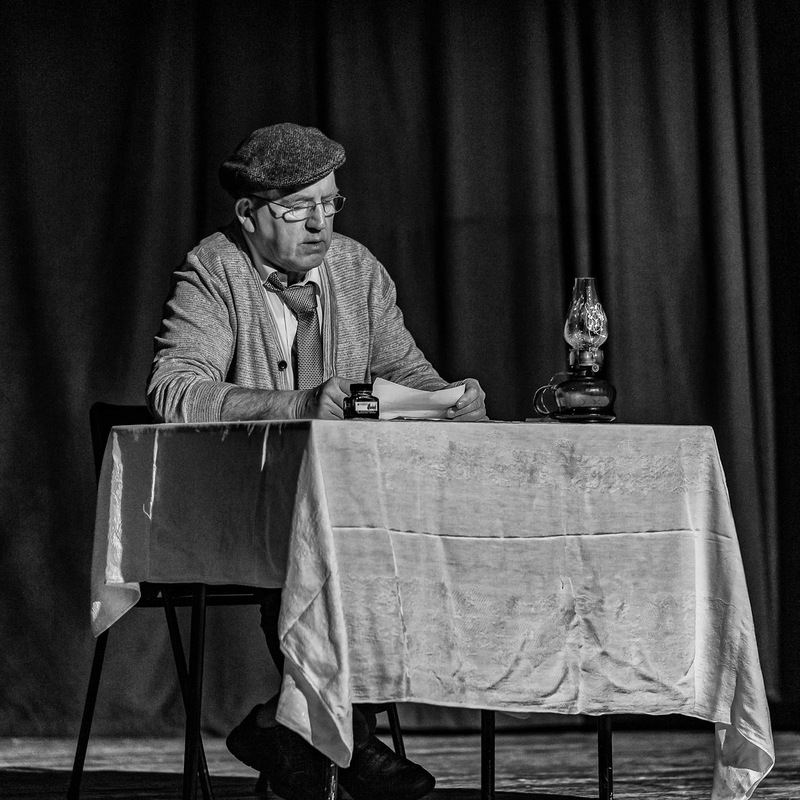 Also scheduled is Sean Corcoran's rendition of "The Letter", which covers the trials and tribulations of finding romance or even companionship in the pre-Tinder era and is based on the writings of John B Keane. Former member, the late John Dillon of Kanturk will be remembered by Anne Buckley's interpretation of "The Murhur Reel", a short story he published in 2015. The Club is delighted to welcome back a former member, Loretto Barry who will take us back to our secondary school days with her masterful rendition of the Frank O'Connor classic "The First Confession". The Club extends an invite to the community to come along to this exciting event. It take place in the Hibernian Hotel, Mallow on Thursday 2nd May at 8.00PM sharp. For more information on this event or on Speakeasy Toastmasters, please check out our websitespeakeasytoastmasters.com or on Facebook. 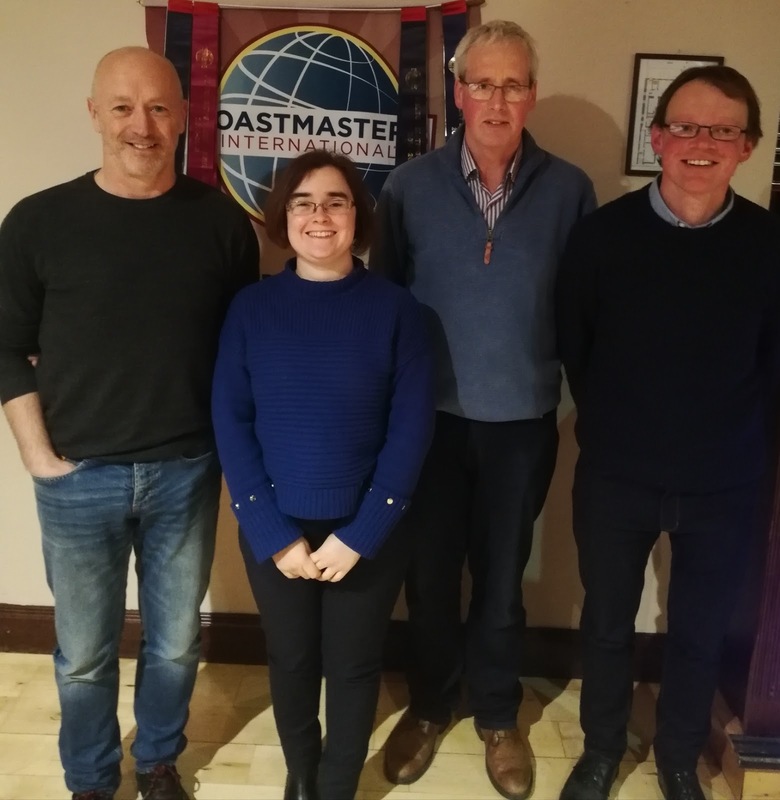 During the Table Topics Session at last week's Speakeasy Toastmasters meeting, Topicsmaster Maria Connolly posed a fascinating question - "How does fear hold you back"? Over a number of responses, it seems that other people's opinions of us creates the greatest fear. Perhaps, we crave other people's approval for the choices we make, even down to the clothes we wear. Fear of confined spaces figured prominently as did a fear of excess. "To hell with moderation and this life balance," one speakerproclaimed. "Burn your candle at both ends and apply a blowtorch to the middle. Moderation is the last refuge of the unimaginative". Claire O'Connell and Valerie Murphy dealt with the topic of "reducing stress". Valerie suggests that we walk, talk and sing while Finnish Metal Music does the trick for Claire! To each their own form of musical therapy, be it Monty Phyton's "Bright side of life" or the narcissist's anthem "It's hard to be humble" or even Finnish Metal Music. "Your favourite piece of technology" elicited responses from the functional to the esoteric. The milking machine and other wonderful labour saving devices that have transformed agriculture was a popular choice. Yet the humble "wireless" or the radio evoked memories of a time when the spoken word was transmitted without vision. The unexpected joy of rediscovering a favourite song which is played unannounced was described as one of radio's finest gifts. Our over-dependence on technology was vividly brought to life by a member's recollection of losing his car key while strolling on a beach. Yes, technology can enslave us as well as enabling us. But, the "hot potato" topic of the night dealt with the "touchy" subject of Joe Biden and how appropriate it is to give a hug or a kiss. Tim Aherne deftly manoeuvred his way around this contentious issue without digging a hole for himself. For dancing on the head of a pin, he was awarded the ribbon for Best Topic. However, every contributor to this lively session was a winner. The art of impromptu speaking is a hugely useful skill to develop, benefitting the speaker in many aspects of life - from social situations to job interviews and work presentations. Moreover, it allows members to assess all aspects of a given subject and to respect opposing points of view. Mark Twain once boasted that he took two weeks to prepare his "impromptu" speech. In Toastmasters we make it up as we go along. This week's Speakeasy Toastmasters meeting takes place on Wednesday night, which is prior to Thursday's newspaper publication. Nevertheless, plans are being laid forthe Speakeasy meeting that will be held on Thursday, 2nd May. It is our specialTheme Night - "Literary Speaking" where club members will interpret the magic of books, lifting the words off the page and bringing them to life. Full details will be announced next week. It promises to be another in a long line of fascinating Speakeasy ThemeNights. As always, guests are welcome to attend. For more information, please check out our website,speakeasytoastmasters.com or on Facebook.